Max air pressure 60psi. Weight of pen body 600g. 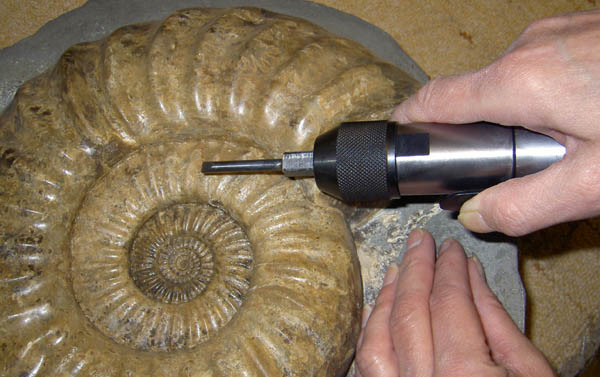 The SQ Fossil Preparation Chisel is one of our specialist Fossil Preparation tools. They are a very powerful and effective tool for the experienced and progressing preparator working in a workshop environment on very large blocks needing bulk matrix removal.